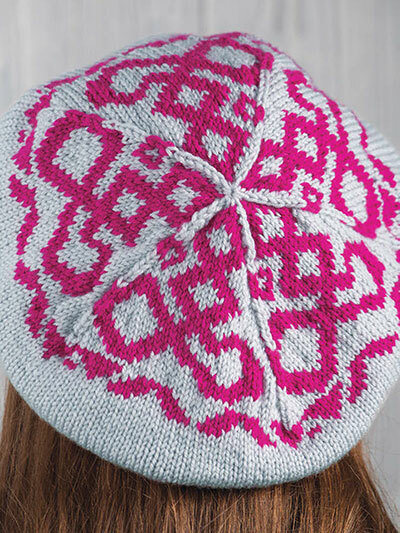 Inspired by Celtic cable patterns, this tam features a high-contrast graphic design created with stranded colorwork. Knit with 2 colors of DK-weight yarn using U.S. size 5/3.75mm and 6/4mm needles. Hat stretches to fit head up to 23". Design was originally published in Creative Knitting Winter 2018.